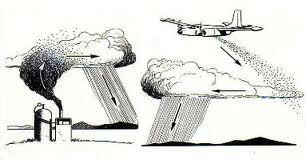 Cloud seeding is the process of producing more rain from convective cumulonimbus clouds by the use of silver iodide chemicals sent through pyrotechnic flares. When the flares disperse the silver iodide into the clouds, water particles attach and grow heavy enough to fall to the ground, creating rainfall. The process of cloud seeding first started in West Texas in 1971 at the Colorado River Municipal Water District. “We started because of the drought. There was a pretty severe drought,” CRMWD general manager John Grant said. For 33 years, CRMWD had a weather radar, meteorologist, pilot and plane on hand to watch out for any developing clouds that could be seeded for rain. During a mission, a meteorologist would watch on a C-Band radar for convective cloud systems to form. If a potential cloud was spotted, a pilot would be called out within minutes to fly underneath a developing cloud around 3,000 to 5,000 feet above ground level in a plane outfitted with silver iodide flare racks. An updraft would help disperse silver iodide into the cloud. In total, a mission could be completed in 30 to 45 minutes, Grant said. Seeding missions were conducted over 14 counties with prime target areas over Borden, Scurry, Howard, Mitchell and Coke Counties. Within the target counties, water runoff could be directed to Lake J.B. Thomas and the E.V. Spence Reservoir. While CRMWD’s program was successful enough to provide additional rainfall, Grant said, not enough cumulus cloud systems moved into the area to be seeded. Though the additional precipitation is most beneficial to parched areas like West Texas, cloud seeding is most successful in more tropical climates,said meteorologist Greg Jackson of the National Weather Service in Midland. As drought conditions persisted in the area, CRMWD suspended its cloud seeding operations in 2006. Grant said the water district is instead focusing on water education for fourth- and fifth-grade students. Seven other weather modification programs are continuing cloud seeding missions in Texas. The Plains-based program Seeding Operations and Atmospheric Research, or SOAR, conducts seeding operations in the Southern Ogallala and Trans-Pecos areas. Formed in 2001 after separating from the Lubbock High Plains Underground Water District, SOAR conducts seeding missions mostly during the summer from May to September. Unlike CRMWD, which used cloud seeding to add water to reservoirs, SOAR uses cloud seeding for agriculture. SOAR staffs their own meteorologist and radar pilots to track clouds. 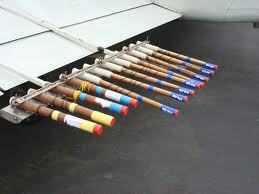 They also have a pressurized plane, which can go directly into a cloud to disperse the silver iodide flares. SOAR chief pilot and project director Gary Walker said seeding missions have continued during the drought, but the program is experiencing the same lack of cloud coverage CRMWD faced toward the end of their program. Walker said since May, only about two dozen seeding missions were flown in the Trans-Pecos area. Normally, 10 or more missions would be flown in a single month. High pressure systems positioned north of the Permian Basin have been redirecting winds full of moisture normally coming from the Gulf of Mexico away from much of West Texas. Combined with hot temperatures at ground level and in the atmosphere, there is barely enough moisture to form clouds ideal for seeding, Jackson said. Walker said when clouds are available seeding missions can help produce 10 percent to 20 percent more rain. Because there has been little rainfall this summer, Walker said the seeding mission have also made little impact in additional rain. “If you have 10 inches of rain, then we probably contributed an inch or two of that. If we have one inch of rain, 10 percent is one-tenth an inch. It’s practically nothing,” Walker said as an example. SOAR’s program costs around $20,000 a month to have operations on standby;Walker said 2011 costs will be lower than usual since fewer flights have been conducted. Even though clouds are popping up in the area less than usual, Walker said cloud seeding programs are still vital in helping get additional water in the area as the drought increasingly threatens groundwater and surface water sources. Midland was site of the earliest cloud-seeding attempts in West Texas, under the direction of Gen. Robert St. George Dyrenforth in 1891. He used explosive balloons and artillery to “break the balanced state” of nature and make rainclouds develop. It didn’t work, and the project moved on several times before being determined to be a waste of the Department of Agriculture’s funds.